St. Vincent and Carrie Brownstein are both great songwriters and larger-than-life guitar heroes, and they have both done a whole lot to bridge the parallel worlds of music and comedy. They’re old friends and collaborators, too. Brownstein and her Portlandia partner Fred Armisen worked on St. Vincent’s “Laughing With A Mouth Of Blood” video way back in 2010, and Annie Clark has guested on Portlandia a bunch of times. Clark and Brownstein did a funny mock-interview video in 2017. 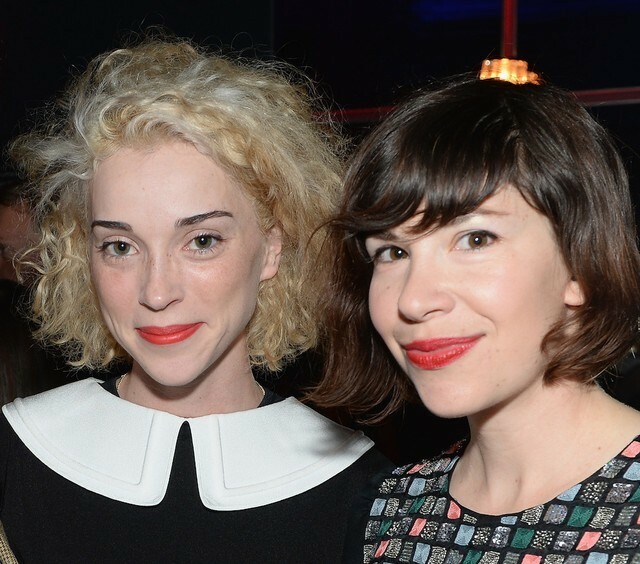 Right now, St. Vincent is producing a new album for Brownstein’s band Sleater-Kinney. And now they’re making a movie together, too. Collider reports that Clark and Brownstein have co-written a concert film together. In the movie, which doesn’t yet have a title, Clark and Brownstein will play “heightened versions of themselves.” Brownstein is co-producing the movie with Jett Steiger and Lana Kim, and Bill Benz, a director and editor who’s worked on Portlandia is set to direct. According to an unnamed source at the studio, “the project isn’t a ‘mockumentary,’ as Collider first reported, but rather, a scripted film that was to have been shot like a documentary.” That sounds like a mockumentary! The movie isn’t set to go into production soon, and all kinds of things can happen with movies in the planning process. But the very idea of these two making a movie together is pretty great.